While some potters control their art in firing, these ones leave it to fate. Jenny Andersen's "Cup for a Woodland Ritual"
Painting in the heat, breathless in anticipation, every muscle poised for release. The potter wrenches open the kiln door, grabs her molten-hot piece of clay with metal tongs and plunges it — spitting and crackling — into a bucket full of leaves. Fooom, the piece ignites: passion burning out of control. Then just as quickly, it’s over. The fire is quenched. Just smoke now, as the oxygen-starved pottery inhales the precious carbon. This is raku, and its allure is intoxicating. The ancient process, in which clay is super-heated before being introduced to some kind of combustible material (wood, leaves, even salt), requires almost complete surrender of control by the artist. In most ceramics — especially in commercial pottery production — that control is usually paramount. It’s what makes your dishes match and your toilet bowl function properly. But with atmospheric firing, the surrender to chance carries with it the potential for magic inside the kiln. The raku process can create delicate spiderweb textures in the glaze, smoky shadows or iridescent colors. It’s what Spokane Falls Community College’s Lee Ayars and Wenatchee College’s Ruth Allan are willing to risk fingertips and eyebrows for: the smoke-licked surfaces and textured earth tones indicative of the atmospheric firing process. Ayars and Allan are two of 17 regional artists who will be exhibiting work in Gonzaga University’s Northwest Atmospheric Ceramics Invitational, which will be curated by Gonzaga professor and prominent local potter Gina Freuen. 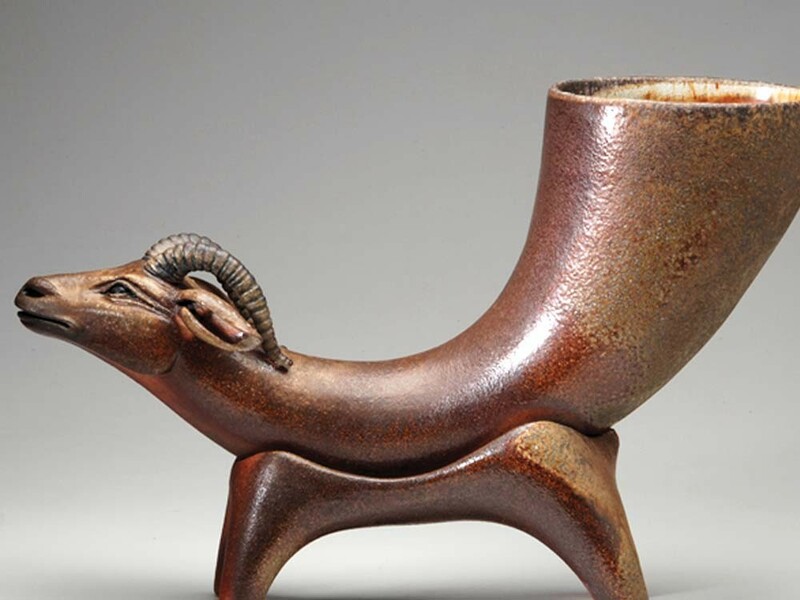 Freuen herself has used the atmospheric process for the past 10 years, and this exhibition gives her an opportunity to showcase it and draw attention to the tightly knit, growing community of atmospheric potters. These processes “take a backlog of knowledge and many years of experience to develop the quality of work that will be exhibited,” Freuen says. Steve Sauer, another artist whose work will be on display, has nearly 30 years experience with wood-firing, including leading the building of the Santatsugama “Three Dragon” kiln in Bainbridge Island, Wash. One of several Japanese-style anagama, or tunnel-type kilns, in the Northwest, it is ideal for large firings and requires a dedicated crew to stoke the fire over several days in order for it to reach necessary 2,000-plus degree temperatures. During the firing of the Three Dragon kiln, Jenny Andersen and a team of like-minded potters nurse the kiln-fire with little bits of wood in shifts over several days, hoping the resultant ash will give the clay surface the kinds of subtle but intense markings that every atmospheric potter wishes for. It’s more than just the end result, though, writes Andersen, whose works, which resemble ancient artifacts, will also be on display. It’s the whole process.